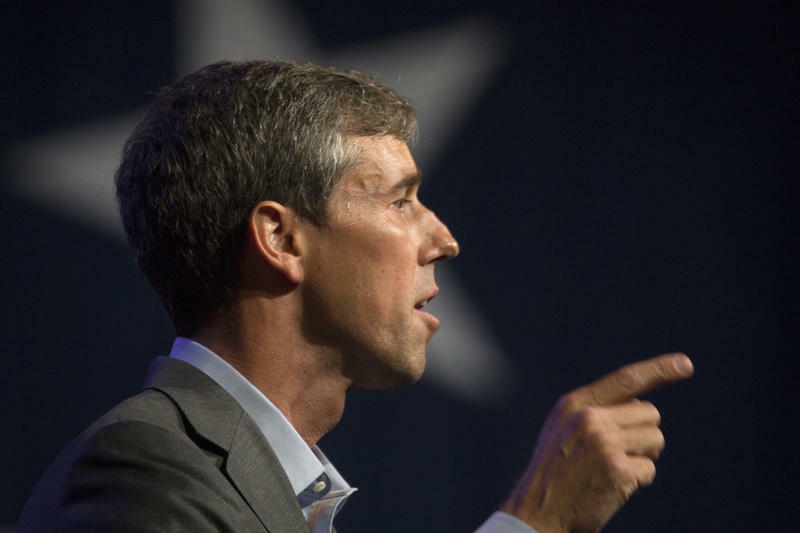 Democratic presidential candidate and former Texas congressman Beto O'Rourke speaks during his presidential campaign kickoff rally in Houston, Saturday, March 30, 2019. He's looking to shore up his deeply conservative home state and champion the U.S.-Mexico border at a time when President Donald Trump has threatened to shut it. 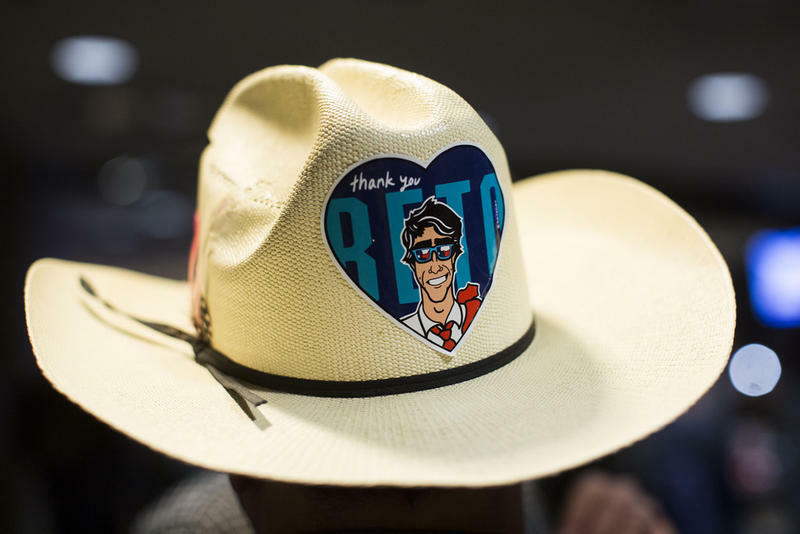 The former congressman, who represented El Paso for three House terms until last year, began the day Saturday addressing 1,000-plus supporters in his hometown, across the border from Ciudad Juarez, Mexico. 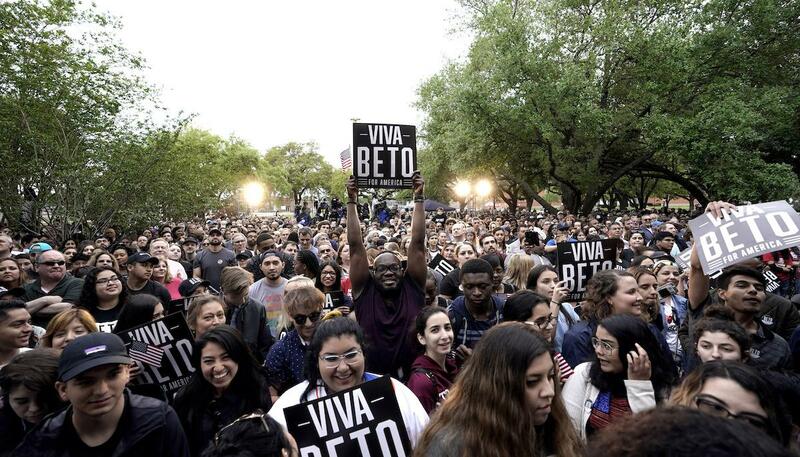 He later spoke at historically black Texas Southern University in Houston, before finishing with a late-night Austin event, addressing a large crowd a stone's throw from the pink-granite state Capitol. 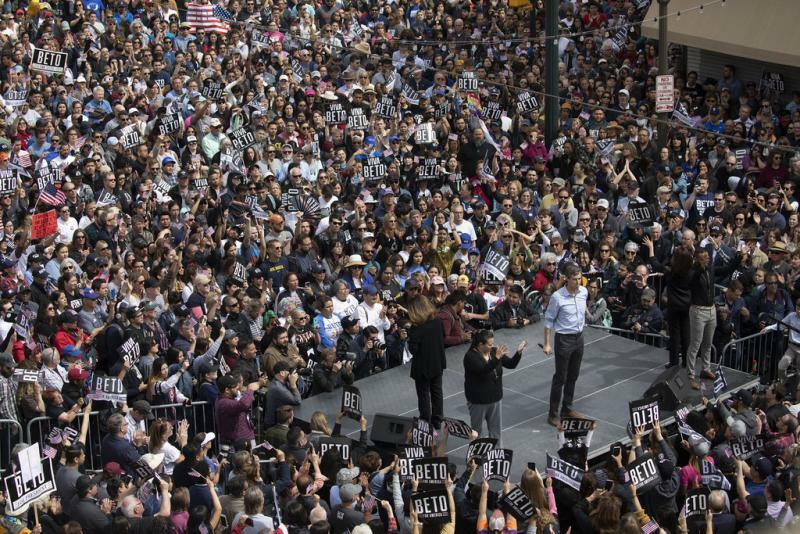 Supporters cheer as Democratic presidential candidate and former Texas congressman Beto O'Rourke speaks at his presidential campaign kickoff in El Paso, Texas, Saturday, March 30, 2019. 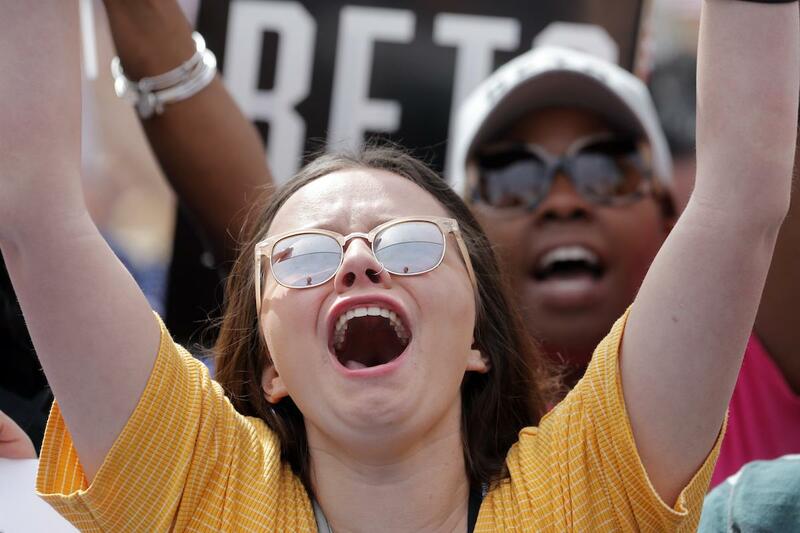 A supporter holds up a sign as he waits for Democratic presidential candidate and former Texas congressman Beto O'Rourke to take the stage for his presidential campaign kickoff rally in Houston, Saturday, March 30, 2019. Texas hasn't elected a Democrat to statewide office in 25 years. 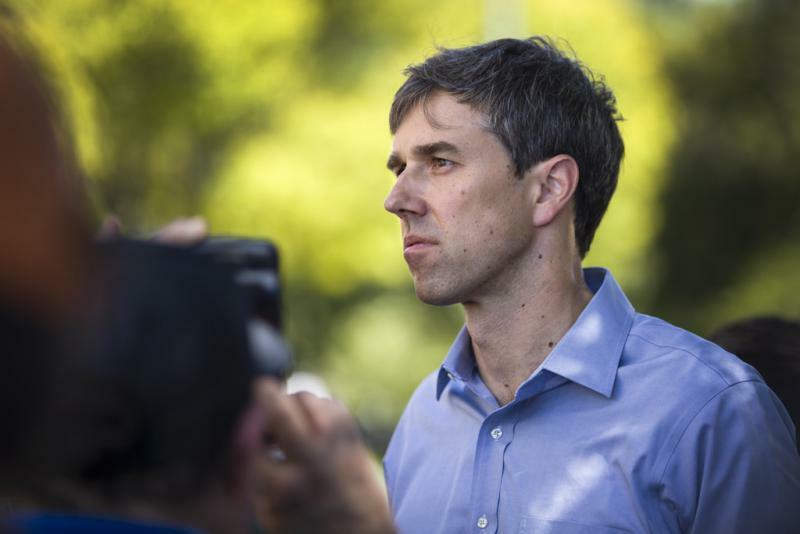 But O'Rourke came within 3 percentage points of topping Cruz, and his party is hoping that a booming Hispanic population and large numbers of new residents moving in from other states could keep Texas close in 2020 — potentially reshaping the electoral college. California Sen. Kamala Harris drew a large crowd last weekend when she too visited Texas Southern.